December 23 , by Shellie Wilson. There are plenty of cute compact mirrors on the market, and most are affordable. I think one of the main reasons for DIY is not to save money but to create something unique. 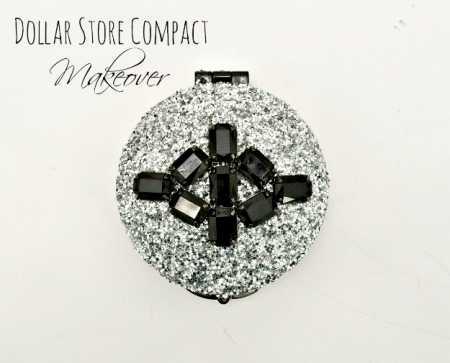 I love this little Bling Bling dollar store hack by happinessiscreating.com. The mirror cost $1 with and extra $4 being spent on adding the perfectly blingy bling touch. These would be perfect for Handmade gifts.